Arkansas Children's Hospital and Down Syndrome OPTIONs bring you research and translational medical interventions that can improve the symptoms seen in patients with Trisomy 21. Seize this opportunity to learn treatment strategies that can make life-long improvements in the lives of your children, grandchildren, sister, brother, loved ones and clients health and well-being. Friday, September 11, 2015 Day 1 focuses on research and the latest treatment strategies. Continental breakfast and lunch included. Meet and Greet that evening with appetizers. Day 2 focuses on therapy, education and nutrition. Continental breakfast and lunch included. Dr. James is the Director of the Metabolic Genomics Laboratory at ACHRI and a collaborator of the Arkansas Center for Birth Defects Research and Prevention. Her research is focused on the understanding of the metabolic and genetic factors that may be mechanistically involved in the etiology of autism, Down syndrome, and childhood acute lymphoblastic leukemia (ALL). The Metabolic Genomics team measures plasma levels of metabolites that are predictive of impaired methylation capacity and oxidative stress. In addition, the lab measures genetic polymorphisms that could contribute to an increased risk of oxidative stress and decreased glutathione-mediated antioxidant defense. Most recently, this approach has been used to study metabolic profiles and related genotypes that may increase the risk of autism. Autism is a complex neurodevelopmental disorder characterized by impairment in social interaction and language accompanied by social withdrawal and repetitive hyper-focused behaviors. The abnormal metabolic and genetic profiles discovered in Metabolic Genomics lab indicate that autistic children may be more vulnerable to environmental factors that increase oxidative stress. It is generally accepted that both genetic and environmental factors interact to negatively affect neurologic and immunologic function during prenatal and postnatal development in autistic children. Recent evidence from Dr. James’ laboratory suggests that autism may involve inherited metabolic aberrations that secondarily affect neurologic and immunologic function during prenatal and postnatal development. If proven correct, this model supports the possibility that normalization of the metabolic imbalance with targeted intervention strategies could potentially improve symptoms and arrest the progression into autism. Dr. James works closely with Charlotte Hobbs, MD, to define maternal metabolic risk factors for having a child with a congenital heart defect or neural tube defect. She also collaborates with researchers at the National Center for Toxicological Research, University of Utah, the University of California-Davis M.I.N.D. Institute, University of British Columbia, McGill University and University of California Davis to investigate metabolic imbalance in Down syndrome, intrauterine growth retardation, autism, cystic fibrosis, colon cancer and alcoholic hepatitis, respectively. 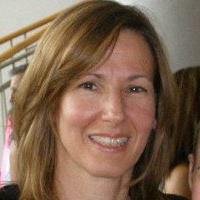 Jill Rabin is a pediatric speech pathologist and International Board Certified Lactation Consultant. She has been working with babies at risk for feeding issues for the last 25 years. She frequently works with assisting infants with Down syndrome, preemies and/or babies who may have more challenges with feeding, to transition to the breast. She also has extensive experience with working with babies/toddlers with feeding aversion and provides weekly therapy to many of these type clients. She worked as a speech pathologist and lactation consultant at Illinois Masonic Medical Center where she developed a feeding program in the NICU for at risk babies. She later worked at Prentice Hospital as a lactation consultant. She is an early intervention evaluate and provider and currently has her own private practice. She has done presentations/workshops on infants with feeding issues, with emphasis on breastfeeding. She speaks Spanish and has a strong knowledge of American Sign Language. Dr. Peirson has a bachelor's degree in Biology from Portland State University and achieved a place in the Gold Key International Honour Society. She earned her doctorate degree from the National College of Naturopathic Medicine in Portland, Oregon. 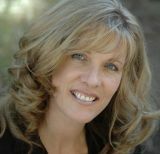 She is a licensed physician in the state of Oregon, having passed the Naturopathic Licensing Exams. In addition to her medical practice Dr. Peirson teaches Anatomy & Physiology and Cell Biology at Portland Community College. She loves teaching and often teaches her patients about their bodies to help encourage involvement in their own health care. She worked at Shriners Hospital for Children throughout her first 14 years in Portland. Her work with Shriners Hospital has greatly molded her as a person and as a physician. She has been deeply moved by the strength of the children there and gained a deeper level of compassion for others. Before moving to Portland Dr. Peirson worked for three years as an EMT in an Emergency Room in Clearwater, Florida. She knew that the field of medicine was right for gaining great satisfaction with helping people in their greatest time of need. She also gained a lot of experience and knowledge while working in the ER. Her experience there gave her an appreciation for and understanding of conventional medicine. However, she was frustrated with the current crisis management system of healthcare. Having a good understanding of the benefits of living a healthy lifestyle, she wanted to help others with a more natural approach. Listening carefully to the goals and expectations of each patient, Dr. Peirson pays close attention to the specific needs of each patient. Her personal, gentle, yet thorough approach to medicine is appreciated by her patients. Kent MacLeod is a Clinical Pharmacist and Director of NutriChem Compounding Pharmacy and Clinic. He is a specialist in women's health issues and nutritional therapies for children with special needs. Named PCCA's 2009 Canadian Compounding Pharmacist of the Year, he is a published author and has lectured throughout North America and Europe. He has been featured on A-channel, CJOH, CBC, and Rogers Television and in New Pharmacist, Pharmacy Post and Drugstore Canada magazines. In his present role at NutriChem's biomedical clinic, he is using his innovative Body Chemistry Balancing Test to help those who are searching for real solutions to their health concerns. Lydia is 11 years old. She's a full-time student, sister, daughter and friend. She loves to play basketball, go on vacations, spend time at Camp Tekawitha and hanging with her friends and family. Dr. Crawford's laboratory is primarily involved in the modulation of mammalian gene expression by oxidative and nitrosative stress. He has identified a number of novel genes, designated "ADAPTS", and is characterizing their function and possible clinical use in stress-related diseases and disorders. One of these genes, ADAPT78 (RCAN1), has become a major laboratory research focus. Its protein product inhibits calcineurin, an intracellular protein important to calcium signaling. As such, Adapt78 is thought to be important in regulating many calcium-dependent cellular functions such as immune response and brain function. The laboratory is currently assessing the role that Adapt78 plays in calcineurin-related pathologies including immune system dysfunction, Alzheimer's disease, Down syndrome, and brain inflammation. The laboratory is also involved in combining the above projects with Diet and Nutrition as a translational approach to treating these pathologies. These studies use healthy dietary supplements such as plant polyphenols and broccoli sulforaphane as novel alternative approaches to treating pathologies; for example, to achieve immunosuppression (for autoimmune and transplant patients) and to treat Down syndrome and Alzheimer's disease (by modulating specific disease-causing genes). This approach is healthy and cost-effective, and improves compliance in patients. Dr. Crawford is also a member of two area inter-institutional organizations: the Capital Region Cancer Research (CRCR) group, for which he chairs the steering committee; and ALZNYCAP, an Alzheimer's Center of Excellence. Creator of Behavioral and Developmental Consultants. Follow the link to learn more about Alison and the impact she is having on the special needs community. Friends who owned a health food store intervened and encouraged Morley to try chiropractic care. His initial response: “Thanks guys, but I don’t do witchcraft.” Several months later, the pain was wearing on him, and his friends insisted. The experience was so life-changing for Morley, he questioned everything he knew — or thought he knew — about healing. He left the world of hospital administration and became a Wellness Coach. Norman Schwartz, MD. is an integrative medicine specialist with over thirty years experience and an extensive background in treating complex chronic health problems. Formerly medical director of Integrative Medicine for Wheaton Franciscan Healthcare in Milwaukee, Wisconsin he is now in private practice. He uses a first line, proactive, low risk, high gain approach and has treated a wide range of chronic unwellness including: fibromyalgia, chronic fatigue, hormonal imbalances, stomach and colon disorder, chemical sensitivity, autoimmune disease, heart disease, multiple sclerosis, Parkinson's, Alzheimer's diabetes and cancer. He has devoted many years helping individuals and families who are dealing with autism spectrum disorders, ADHD and neurodevelopmental disorders using biomedical treatments developed by the Autism Research Institute. 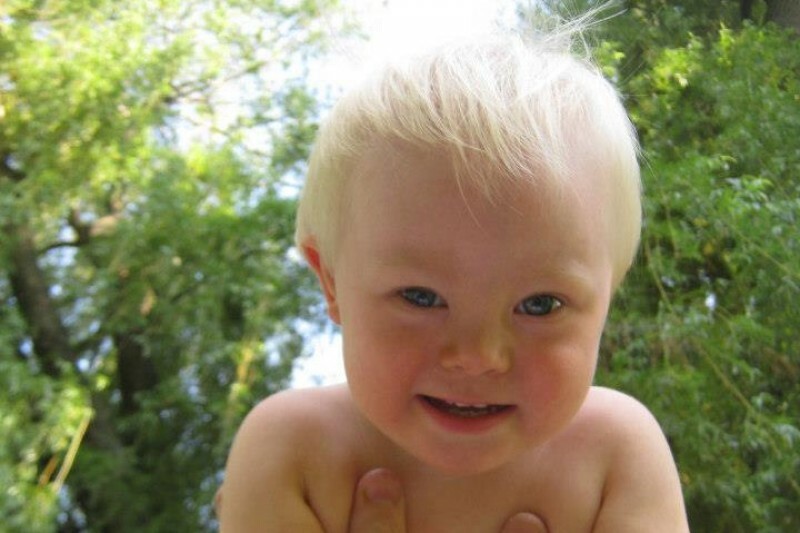 He now focuses his practice on individuals with Down syndrome. Motivated by his personal transition, Dr. Jaffe went on to reinvent himself professionally by starting the Health Studies Collegium, a think tank that focuses on sustainable solutions to global health needs, with his fellow colleagues. For the last 30 years, Dr. Jaffe has advocated a system that treats people not diagnoses, cause not consequence, and promotes long term sustainable solutions as an alternative to a system dominated by prescriptive, symptom suppressive solutions. Dr. Jaffe’s cumulative experiences enabled him to take his efforts one step further and build PERQUE Integrative Health, a company that offers the world scientifically proven, integrative health solutions that speed the transition from sick care to healthful caring. Anat Baniel, founder of the Anat Baniel Method is the author of two highly acclaimed books, Move Into Life: The Nine Essentials for Lifelong Vitality and Kids Beyond Limits. Anat was trained as a clinical psychologist, dancer, and was a close professional associate of Dr. Moshe Feldenkrais for over a decade. In private practice, Anat Baniel is renowned for breakthrough clinical outcomes with children with special needs including those with Down syndrome. Her neuroscience-based approach, developed over 30 years helping thousands of people of all ages move beyond limitations, is supported by leading neuroscientists. Click here to learn more about the Anat Baniel Method. Free radical oxidative stress is a hallmark of aging and age-related neurodegenerative disorders such as Alzheimer's disease (AD). Such oxidative stress is manifested in neurons by protein oxidation, lipid peroxidation, reactive oxygen species (ROS) production, mitochondrial dysfunction, and functional impairment of key transmembrane transport proteins, among many others. Our laboratory studies these and other aspects of oxidative stress in brain membranes using a variety of techniques, including magnetic resonance (both EPR and NMR), fluorescence, chemiluminescence, Western blotting, HPLC analysis, enzyme kinetics, etc. Our group has described how oxidative stress associated with amyloid b-peptide, a 42-amino acid peptide deposited in AD brains, leads to neurotoxicity and how various antioxidants can modulate or prevent this oxidative stress and neuronal death. For example, the figure, illustrating results from confocal laser fluorescence microscopy, shows how Ab leads to ROS formation in neurons, but the free radical antioxidant vitamin E markedly inhibits this oxidation. Insight into the molecular basis for and potential therapeutic interventions in aging and age-related neurodegenerative disorders is envisaged from our research. Our laboratory is the first to use proteomics to identify oxidatively modified brain proteins in subjects with AD and, arguably, its earliest form, mild cognitive impairment (MCI). Proteins identified have provided new insights into molecular processes involved in mechanisms of neuronal death in and progression of AD. Barbara Strupp received her Bachelor's degree in Ethology from Washington University in 1976, and her Ph.D. degree in Psychology in 1982 from Cornell University. She conducted postdoctoral research at the National Institutes of Health (Biological Psychiatry Branch, NIMH) from 1981-1983. She then returned to Cornell University in 1983, funded by a National Institutes of Health New Investigator Research Award. She currently serves as Professor in the Division of Nutritional Sciences, and Adjunct Professor in the Department of Psychology. Professor Strupp is a member of the Graduate Fields of Nutrition, Psychology, and Environmental Toxicology and the Program in Neuroscience. Her research group has been funded by three institutes at the NIH (NICHD, NIDA, and NIMH). These grants have supported research on numerous causes of human cognitive dysfunction (malnutrition, PKU, early lead exposure, prenatal cocaine exposure, Down syndrome, and Fragile X syndrome), as well as the development of novel techniques for detecting and delineating cognitive and affective dysfunction in rodent models. Strupp’s research primarily deals with causes of human cognitive dysfunction, studies that involve both children and rodent models. The goals of the animal studies are to determine the nature and underlying neural basis of the cognitive dysfunction, with implications for therapeutic intervention and for elucidating basic brain-cognition relationships. Current projects (described below) focus on (1) the lasting effects of maternal choline supplementation in rodent models (including a murine model of Down syndrome) and humans, and (2) the lasting effects of developmental exposure to manganese. Monica Purdy, M.A., CCC-SLP, earned a Masters of Arts in Speech and Language Pathology from Ball State University. Monica has special training in Oral Placement Therapy / feeding therapy, augmentative training and has been PROMPT trained. Monica Purdy has 10 years of professional experience working in both educational and private settings. 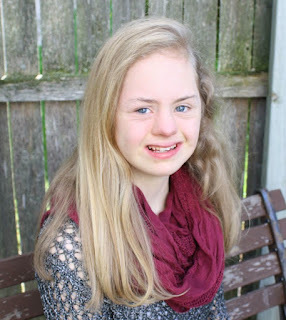 In addition to being a member of the TalkTools® speaker’s bureau, Monica maintains a clinical presence in Indianapolis, Indiana where she treats clients with wide disability range, including Down syndrome, cerebral palsey and autism. Monica currently holds licenses in Indiana and Minnesota. Her professional affiliations include the American Speech and Hearing Association and Down Syndrome Society. Dr. Richard Frye is a Child Neurologist and Director of Autism Research at Arkansas Children's Hospital Research Institute. He is an Associate Professor in Pediatrics at the University of Arkansas for Medical Sciences, and Director of the Autism Multispecialty Clinic at Arkansas Children's Hospital. Dr Frye received a B.A. from Long Island University and earned his MD/PhD from Georgetown University. He completed a residency in Pediatrics at the University of Miami, followed by a residency in Child Neurology and fellowship in Behavioral Neurology and Learning Disabilities at Harvard University/Children's Hospital Boston. He is board certified by the American Board of Pediatrics, and the American Board of Psychiatry and Neurology with Special Competence in Child Neurology. He is a national leader in autism research. He has authored numerous research publications and book chapters, and serves on several editorial boards of prestigious scientific and medical journals. He is a member of the American Academy of Neurology, American Academy of Pediatrics, International Society for Autism Research, and the Society for Neuroscience. 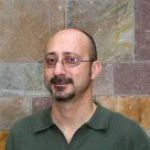 Dr. Busciglio's research interests are in Alzheimer's disease, Down syndrome, neurodegeneration, axonal transport, oxidative stress and mitochondrial dysfunction. He was named 2004-2005 National Academies Education Fellow in the Life Sciences, Fellow, National Academies Summer Institute on Undergraduate Education in Biology. In 2004 he received the Teaching Excellence Award, Celebration of Teaching, School of Biological Sciences. In 2005 he earned the Golden Apple Teaching Award 2005. Dr. Kellman is a pioneer in functional medicine who has a holistic and visionary approach to healing. In 17 years of practice, he has treated more than 40,000 patients, many of whom have come to him from all over the world and after suffering without help for years. Dr. Kellman is driven by his desire to alleviate suffering and to help people regain health based on a new vision and understanding of healing and the causes of disease. As a doctor trained in internal medicine Dr. Kellman uses the latest drugs and technology to treat specific diseases but his approach to medicine is patient- centered and holistic. He focuses on the complex interaction of systems — not just the disease but on you as a whole person who is greater than the sum of your parts. Dr. Kellman’s treatments are informed by his background in the philosophy of science, and administered with compassion and kindness. Drawing on the latest research, he addresses your biochemistry, metabolism, hormones, genetics, environment, emotions, and life circumstances to help you achieve optimal health. Dr. Louisa Silva founded QSTI. She is trained in both Western and Chinese medicine. She is a visiting professor at Teaching Research Institute, Western Oregon University, and the lead researcher in QST massage interventions for children with disabilities. Since 2000, she has completed multiple research studies of the effects of qigong massage on young children with autism, and has developed training programs for parents and professionals. Dr. Bieneman earned his Bachelor’s of Science Degree from Indiana University with honors in Business. After graduating with his doctorate in Dental Surgery from Indiana University School of Dentistry, Dr. James Bieneman has continued to refine his skills and expertise through countless post-graduate courses to provide patients like you with the standard of care you deserve. 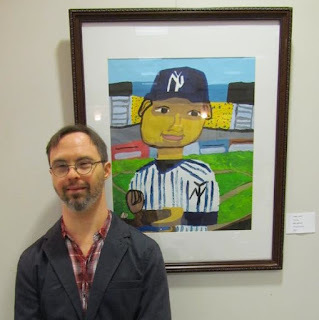 Billy Spillman, adult artist with T21 will have his art on display during the conference. Opportunity for Research Participation at the Down Syndrome Innovations Conference on Sept 11-12 in downtown Little Rock! If you have a child w/T21 between the ages of 9 and 24 months old, we have an exciting opportunity for you to participate in a worldwide Down syndrome study with researchers from Spain. The researchers will be taking 360 degree photos (just head shots) which takes approximately 30 minutes. They are studying the effects of green tea extract (EGCG) on our children. Your baby doesn't have to be taking EGCG to participate. And you don't have to attend the conference to participate. For more information contact Andi Durkin. Arkansas Children's Hospital map and directions. 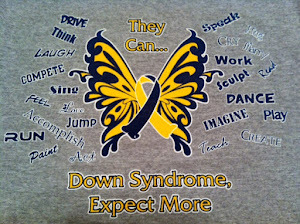 Follow link for more about Down Syndrome OPTIONs.